What happens if you give a homeless person US$100 (S$130)? You get a feel-good story that surprised even serial video prankster Josh Paler Lin. 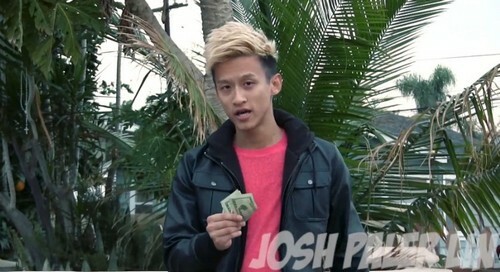 In a video uploaded on Monday, the YouTube personality is seen handing the cash to a beggar in Los Angeles. Mr Lin, who is from California, then secretly follows the man, known only as Thomas, for almost an hour to see how he spends the money, reported the MailOnline. Mr Thomas walks into a nearby Liquor Mart. But he doesn't buy alcohol. 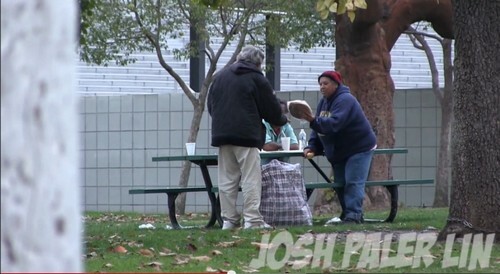 He buys some food and goes to a park where many other homeless people gather - and hands the food to complete strangers. Mr Lin was so touched that he came out of hiding and apologised to Mr Thomas. He wrote on his YouTube page: "I wasn't expecting to get this kind of footage. To be honest, I thought this video would be more an exposing homeless people video. "But I'm so glad that I could witness and capture such a beautiful moment." He called the filming of the video "one of the most amazing experiences so far on this channel". He was happy to "not only just help a homeless man", but also to meet "an incredible human being and friend". You get a feel-good story that surprised even serial video prankster Josh Paler Lin. 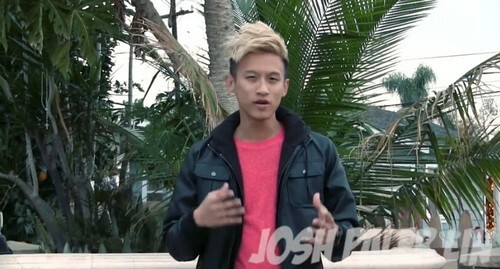 In a video uploaded on Monday, the YouTube personality is seen handing the cash to a beggar in Los Angeles. Mr Lin, who is from California, then secretly follows the man, known only as Thomas, for almost an hour. Lin wanted to see how the homeless man would spend the money. 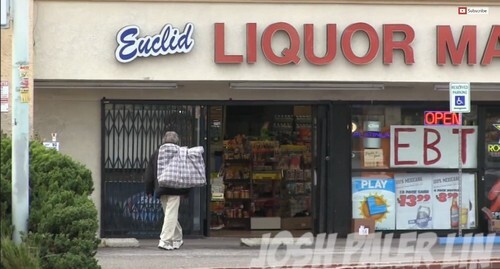 Mr Thomas walks into a nearby Liquor Mart. But he doesn't buy alcohol. Instead, he buys some food and goes to a park where many other homeless people gather. He then distributes the food to the others who are complete strangers to him. He wrote on his YouTube page: "I wasn't expecting to get this kind of footage. 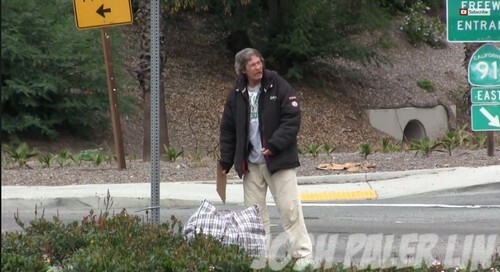 To be honest, I thought this video would be more an exposing homeless people video." Mr Thomas told Mr Lin that he ended up on the streets after his parents died and he couldn't afford to pay for their condo unit. He had left his job to look after them. After they passed away, the house was sold to pay the bills. Mr Thomas had been homeless for four months. Mr Lin took Mr Thomas to dinner, put him up in a hotel for the night and gave him another US$100 in cash. He also set up a fundraising page on crowdfunding site Indiegogo for Mr Thomas. The target was to raise US$10,000 for him. But it has already received more than US$35,000 in donations. Although some have questioned Mr Lin on whether the whole incident had been staged, he denied this and said: "The more I talk to him, the more I sense how genuine he is. "I gave him my number and told him to call me when he needs help." The video, which was posted on YouTube on Dec 22, has garnered over 21 million views. He had left his job to look after them. The house was sold to pay the bills and he had been homeless for four months. The target was to raise US$10,000 for him, but it has already received more than US$35,000 in donations.